The Dynamic Small is the first smaller version of the Dynamic versions. This seamless model is in production since March 2009. 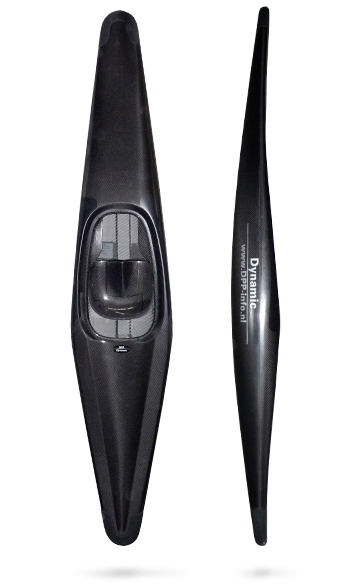 This model have less volume and is a flat model which is qualified for light paddlers. The Dynamic Small is available with internal bumpers. The seat is adjustable 2 cm forward or backward. Special request for the seat can be given with the order. Bumpers are included, footrests are not included with the delivery.